US-based controversial cleric, Fethullah Gülen, this time blamed Turkey for shooting down a Russian jet that had repeatedly violated Turkish airspace and ignored Turkish military warnings. Gülen, also called Turkish cleric who is accused of forming a secrete terror organization in Turkey, criticized the Turkish move to down the Russian fighter jet despite criticizing Russia for violating international law and posing threats to Turkey's security. 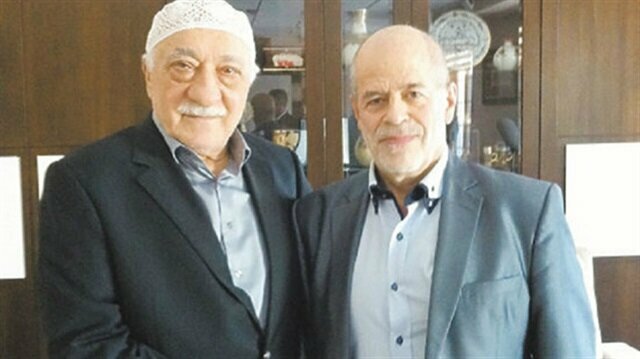 While the whole world found Turkey right and legal in its move, the leader of the Gülenist Terrorist Organization (FETO) shows its hostile face once again by taking a stance against the Turkish national will, and even against the whole world. Following the jet incident the Turkish military unveiled the flight radar track of Russian plane that shows it entered Turkish airspace near the Syrian border. Moreover, the Turkish military also published conversation records of Turkish pilots who repeatedly warned the Russian pilot in the air not to violate Turkish airspace and turn back to Syria. The NATO, U.S., EU and other international forces also backed Turkey as they were convinced that Turkey has all rights to protect its territory and criticized Russia's act. But Gülen, has waged war not only on the government and the ruling party but also against the Turkish State and Turkish public wills. Speaking to a Russian professor from his American home in rural but elite areas in Pennsylvania, where for several years he has been living a reclusive and secretive life on a sprawling 25-acre estate which he hardly ever leaves, Gülen condemned Turkish military for shooting down the jet. 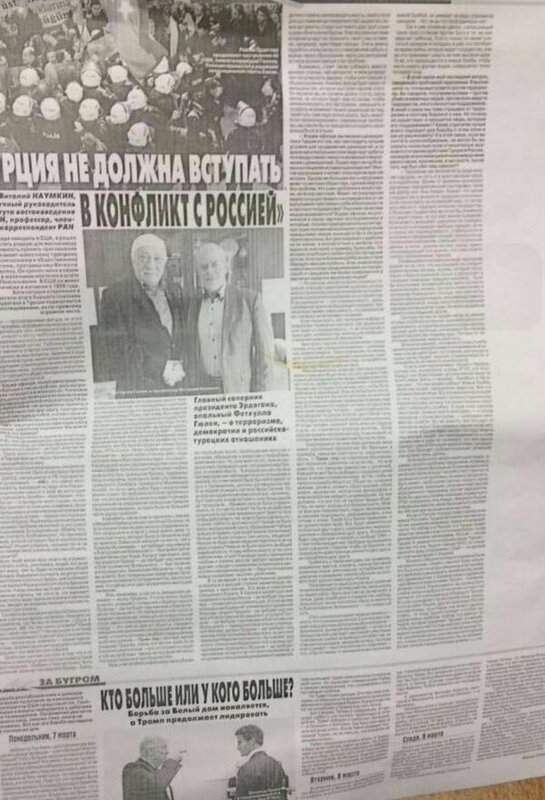 “Turkey should not shoot Russian jet," he said in a full page interview published in the Russian daily Moskovski Komsomolets. This was not his first move to blame Turkey, despite the whole world finding Turkey legal in its case. He was harshly criticized in Turkey and across the world for another statement published by the Wall Street Journal in June 2010, shortly after Israel's deadly military crackdown on Turkish-led “Free Gaza" flotilla and killing of nine Turkish nationals by the commando in international waters. Gülen took a position that stood in sharp contrast with the rest of the reactions elicited by that tragedy—namely, intense international outrage, a wave of anti-Israeli mass demonstrations around the world and the severe downgrading of Turkey's diplomatic relations with Israel. Refusing to criticize Israel for excessive use of force or even for the inhumane Gaza blockade itself, whose global condemnation at that time was quasi unanimous, instead, he blamed the civilian Turkish organizers of the flotilla who had been attacked with lethal military force. Gülen, who introduced himself as a cleric and pioneer of inter-religious dialogue by leading an illegal and terrorized organization under the appearance of legal and peaceful movement, accused of trying to topple Turkish elected government and forming a secret terror group. The group orchestrated a coup attempted in December 2013 and arrested many prominent figure under so-called anti-grift probe. He is now one of the most wanted persons by Turkish security forces as Turkish Supreme Court issued an arrest warrant against him. The court said that Gülen-led group formed an illegal formation inside Turkish judiciary, police and other state institutes who wiretapped thousands of people including prime minister, president, ministers, and other prominent figures in the country. Thus, they blackmailed people and forced to work for their interest, the judiciary said.